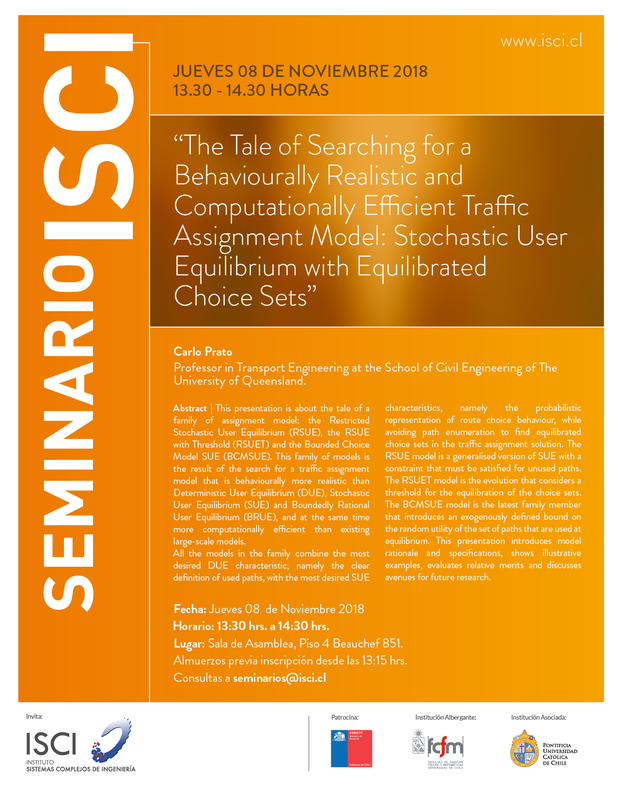 This presentation is about the tale of a family of assignment model: the Restricted Stochastic User Equilibrium (RSUE), the RSUE with Threshold (RSUET) and the Bounded Choice Model SUE (BCMSUE). This family of models is the result of the search for a traffic assignment model that is behaviourally more realistic than Deterministic User Equilibrium (DUE), Stochastic User Equilibrium (SUE) and Boundedly Rational User Equilibrium (BRUE), and at the same time more computationally efficient than existing large-scale models. 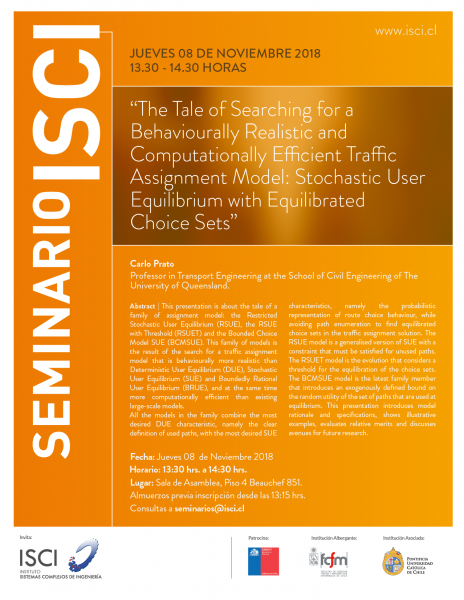 All the models in the family combine the most desired DUE characteristic, namely the clear definition of used paths, with the most desired SUE characteristics, namely the probabilistic representation of route choice behaviour, while avoiding path enumeration to find equilibrated choice sets in the traffic assignment solution. The RSUE model is a generalised version of SUE with a constraint that must be satisfied for unused paths. The RSUET model is the evolution that considers a threshold for the equilibration of the choice sets. The BCMSUE model is the latest family member that introduces an exogenously defined bound on the random utility of the set of paths that are used at equilibrium. This presentation introduces model rationale and specifications, shows illustrative examples, evaluates relative merits and discusses avenues for future research.